What are the coordinates for point P and point S? 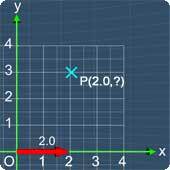 Let's look at point P. The x-coordinate is 2.0 as shown by the red arrow. 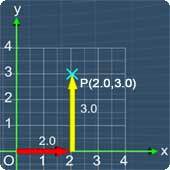 Now, as for the y-coordinate, it is 3.0 as shown by the yellow arrow. 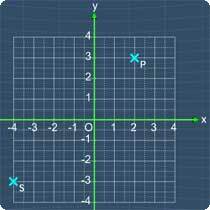 Therefore, the point P has the coordinates of (2.0,3.0). 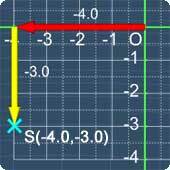 Therefore, the point S has the coordinates of (-4.0,-3.0). With P(2.0,3.0) and S(-4.0,-3.0), clearly the answer for this question is B.